Church of England had moved away from the tradition and named their first ever female bishop. 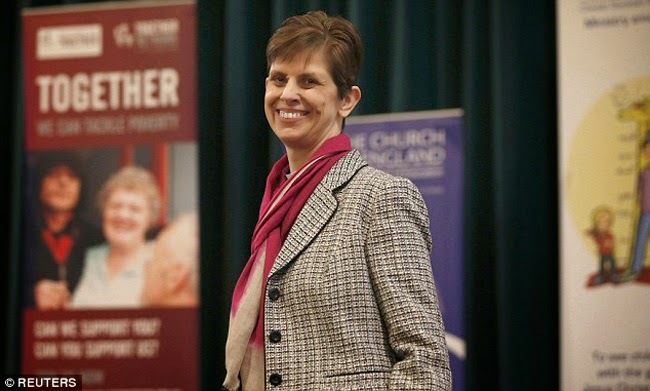 Rev Libby Lane is the first female in line of male leaders in Church of England as a bishop. Rev Libby Lane had spent most of her career working in North East. It had been 20 years since women were given the chance to be ordained priests and this day marks another important stepping stone in the history. General Synod in York had approved that women’s position can be elevated higher. As in had been shared, the England Government will try to introduce to their Parliament the chance of women to be a bishop in the House of Lords. The 48 year old Rev Lane shared that she somewhat daunted by the position, yet she admitted that she was grateful for the high position bested upon her. The day that Church of England announces a female bishop is a very historical way. Rev Lane shared that she is conscious about all those to have looked forward to that day’s realization. She especially thank God for the great opportunity she was given. It was 1994 since women had been made priests but that was the highest they could attain. There were no more senior roles that were given to them. The grant of an opportunity to be a bishop for women had took many years and various contradicting views. However complicated, it is now the realization of women could be bishops. The consecration of Rev Lane will be held on January 26, 2015 at York Minister. She will be the official 8th Bishop of Stockport after the ceremony. The bishop’s post had been vacant for around 7 months after Rt Rev Robert Atwell had became bishop of Exeter.